Editors Note: “Instagram Fashion Finds” is a new blog series featuring designers and brands I’ve stumbled across in my endless Instagram scrolling. While some of the designers are couture and others ready-to-wear, each brand has caught my eye because of their visual aesthetic and overall style vibe. Embroidery traditions run in the Vyshyto family. While techniques have been past down generation to generation, new modern visions are evident in the style and brand aesthetic. The family’s grandmother taught them to embroider with positive emotions and thoughts and to this day they believe that only in this way good things can be made. Whether you’re looking for a personalized embroidered tee or statement making sweater, this brand has something for everyone. 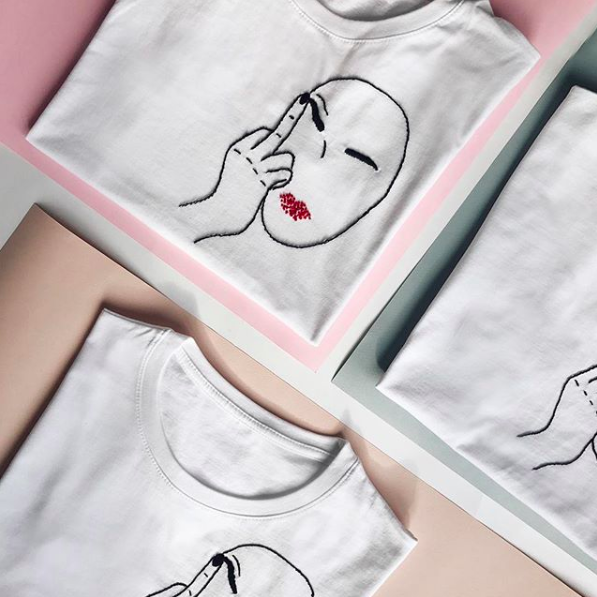 From embroidered wine bottles to whimsical quotes like “we only dated for 11 Instagrams”, Vyshyto offers playful pieces with a statement making aesthetic. Perfect look for a relaxed Saturday.